We are all aware of what E-Cash is, and why people choose to use it as a method of payment on-line. Perhaps it’s down to that person not having a debit or credit card (for whatever reason), or maybe that person has chosen not to use their details online, for safety purposes. E-Cash is very handy for online shopping etc. But what do you do if you need real money? Your E-Wallet is full, but your real wallet has moths – what do you do? 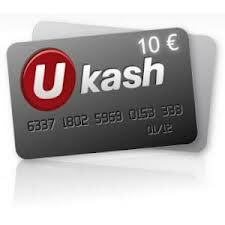 Ukash are now offering a service where you can convert your E-Money back to real money – easily, speedily, and safely. So firstly, what do you need to do? For starters, pay a visit to the Ukash web site. If you have not yet registered your information as of yet, you should now take this opportunity to do so. Upon registration and login, you will be presented with a range of tools for managing your funds, splitting vouchers into smaller amounts, converting your currency into a different currency and combining multiple codes into one, to give some examples. Within this location, you would look for the cash withdrawals service section. Whether you want to withdraw some or all of the funds held is up to you. Perhaps you had a win on some online bingo, and your looking to cash out – no problem. Once you have selected the amount required, Ukash will give you a code, which you will need to print out. From there, you will need to take this code to your local Paypoint location, who will “cash in” the voucher for you, and give you your cash. if all this seems familiar, it is. It’s pretty much the reverse action taken to actually inputting funds to Ukash. What could be simpler? This service is very handy if you are stuck for some funds, and need instant cash. It also provides an extra amount of flexibility to your Ukash E-money experience. This service is live, as of right now over on Ukash’s website. So, if your stuck for real money, and have some virtual coinage lying around, now you know – the option is there to withdraw some or all of those funds, for use as you see fit.